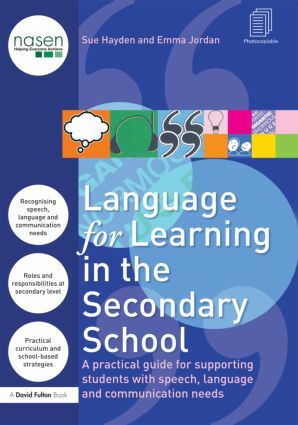 Language for Learning in the Secondary School employs the same easy-to-use format as the best-selling Primary version of this book but has been adapted to meet the specific needs of secondary school teachers. This indispensable resource is packed full of practical suggestions on how to support students with speech, language and communication difficulties. Empower students to access the curriculum. Language for Learning in the Secondary School comes complete with a wealth of photocopiable resources and activities, giving teachers and teaching assistants the confidence to help students with speech, language and communication needs more effectively in mainstream settings. It will also be an extremely useful resource for specialist teachers, speech and language therapists and educational psychologists.